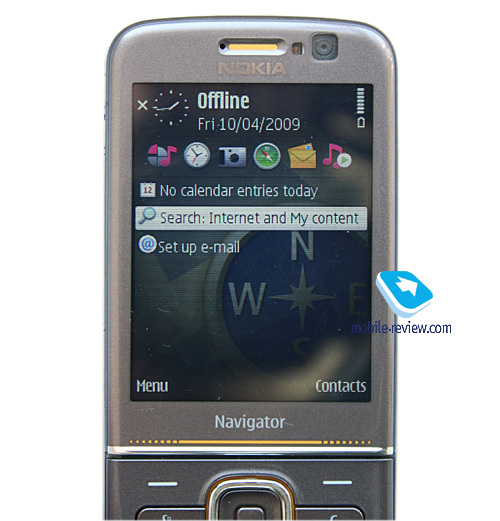 For Nokia the 6710 Navigator is the third product in a row with a heavy focus on navigation functionality, as its name suggests. 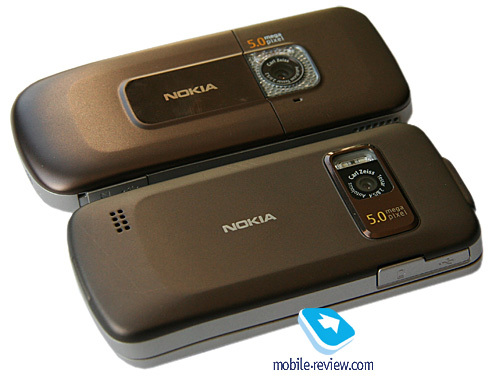 Their first foray into this market came about in the form of the Nokia 6110 Navigator that never became popular and seemed pretty pale given the wealth of other S60-based smartphones. 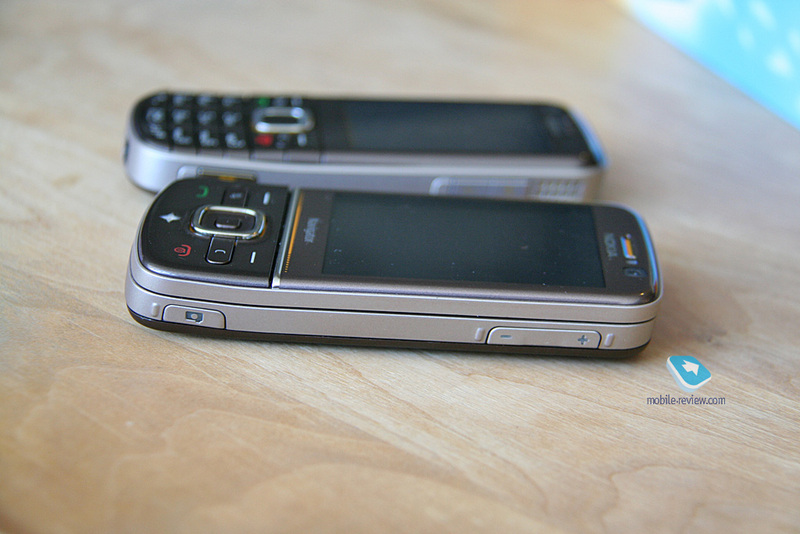 Its new iteration, the 6210 Navigator came with a couple of "unique" touches, such as 6 free months of navigation, digital compass and auto rotation feature for the map, but that was that - as for the rest, the 6210 wasn't different from other smartphones out there. And again, it failed - consumers didn't see anything special in it, so most of them simply passed by. 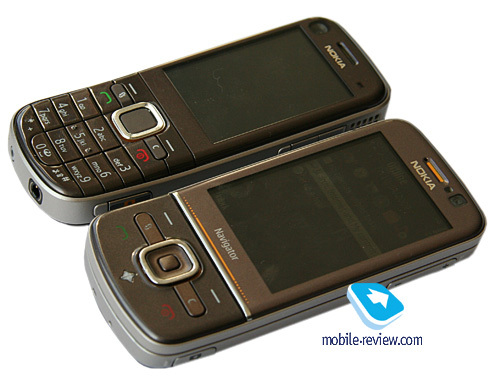 This brings us to the main subject of this review, the 6710 Navigator, as well as the question whether Nokia have learned a lesson from their previous failures and finally altered the handset's positioning? Unfortunately, they have not - the 6710 Navigator is still touted as a navigation-savvy device with a handful of generic features onboard. Even its price hasn't changed - same 300 Euro as before. Although they have modified the phone's sales package a fair bit, adding an in-car holder, as well as a car charger, lifetime subscription to navigation services and map updates. Do all these amenities make the 6710 Navigator special? I'm afraid not, since stand-alone navigators retail for pretty much the same money, yet offer greater comfort and usability thanks to larger displays. Having beefed up the handset's sales package, they thought it'd be just enough to reinforce the old concept. But is it really a sufficient measure? By no means, the vast majority of mobile phone owners use navigation only occasionally. Therefore, they don't need lifetime subscription or regular updates. 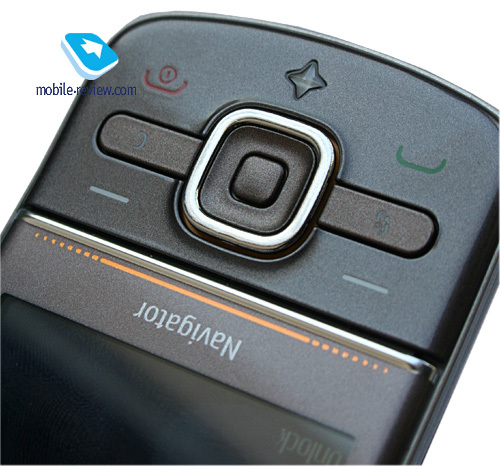 At present some other S60-based phones offer free full-fledged navigation functionality and up to 10 connections a day, which is more than enough for the average user's daily needs. Although there are some restrictions, such as that these bonus offers are limited in time (three months from the day of purchase), but that's not the point here. 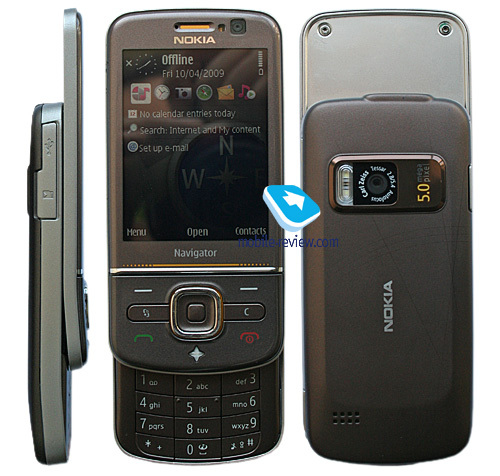 The crux of the matter is that consumers won't be able to tell the difference when buying a phone, so that's another argument indicating that the Nokia 6710 Navigator doesn't have even a semblance of bright future. It's essential to Nokia as a reinforcement of their ambitions and abilities in this field, however very few consumers will share their aspirations. As far as design is concerned, the 6710 Navigator resembles the 6720 Classic - same curved design and identical basic casing color. Speaking of which, the phone will be available in two trims - Titanium and Chestnut brown. 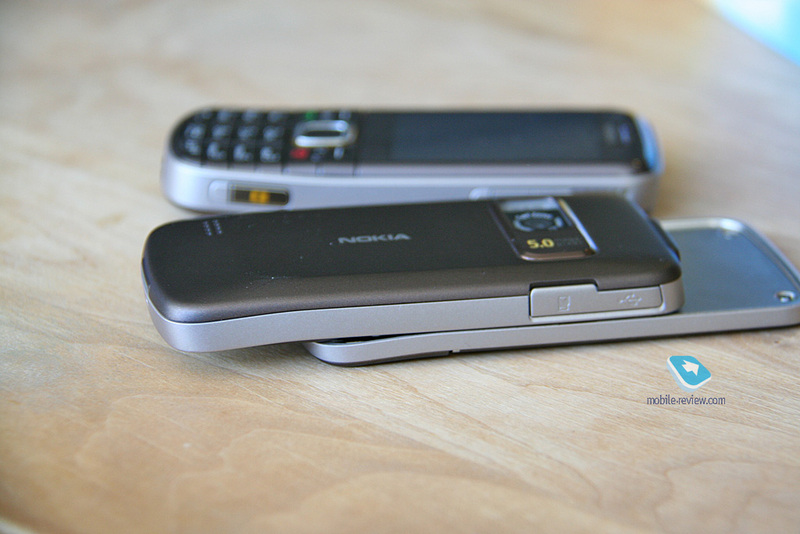 Personally, I like the latter more, perhaps because the grey version of the 6710 Navigator reminds me of the Nokia N96, which I dislike. The phone sports a button-down design, which is more of a shortcoming in this particular case - had it been a tad more flamboyant, it would have had more chances to appeal to the younger portion of the audience. But as it stands, in terms of design the 6710 Navigator doesn't target any specific consumer group, being a good example of "generic" design. Measuring 104.8x50.5x14.9 mm and weighting 117 grams, it's not the sveltest phone we've seen, and therefore men will be its primary focus - very few women actually favor such bricky designs. At the same time, despite its weight, the 6710 Navigator doesn't have any metallic parts onboard - it's all plastic. The spring loaded mechanism is another moot point - while the sliding action seems smooth, it lacks sharpness and doesn't feel feather-light. It won't take you long to get used to it, but we can't say it's the best auto-opening mechanism we have tried out to date. 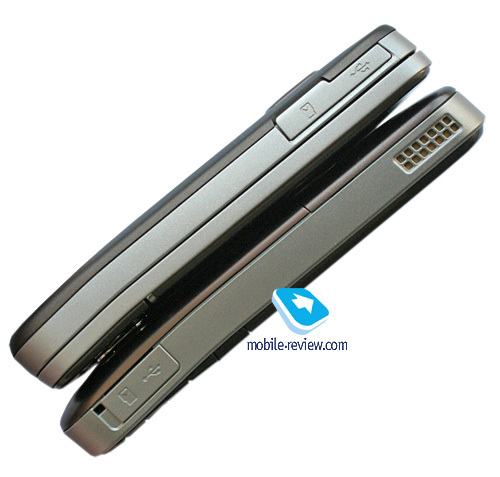 Perched on the left-hand spine is a sliding plastic door that covers the microUSB socket, as well as microSD memory card slot. On the right there is the volume rocker along with a dedicated camera button. 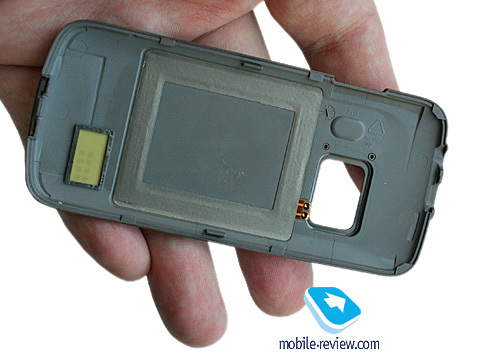 Both the camera lens and LED flash are mounted on the back of the phone. 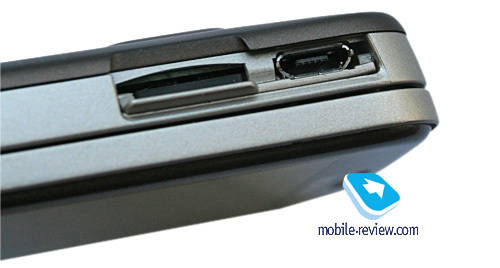 The top end of the 6710 Navigator hosts the 3.5 mm audio jack and 2 mm charger slot. Sitting right above the screen are the forward-facing camera and ambient light sensor that adjusts the backlight level of both the display and keypad automatically. 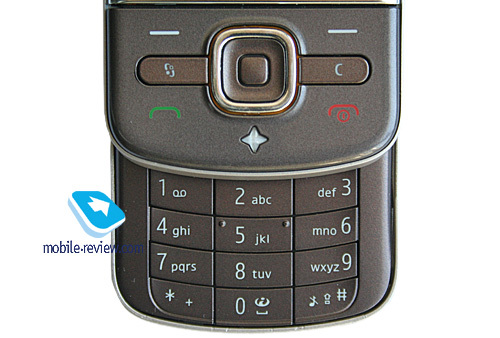 The handset comes equipped with a 2.6-inch QVGA display, capable of up to 16 million colors. On the downside, the picture this screen outputs is pretty dim and lackluster in most cases - it's obvious that Nokia opted to cut the 6710 Navigator's power consumption as much as possible to leave more room for the phone's main features, since it's not a vibrant display that matters here, it's battery time. Unfortunately, there is no way to adjust the display's brightness manually. The screen can accomodate up to 8 text and 3 service lines, although in certain modes and applications it's possible to cram in as many as 14 lines of text. The 6710 Navigator's screen doesn't get washed out all that much under direct sunlight, which may seem a bit odd, since its color reproduction while indoors leaves much to be desired. The ambient light sensor adjusts the display's backlight brightness automatically. The phone's bundled motion sensor allows the user to change the display orientation pretty much in all menus and applications. 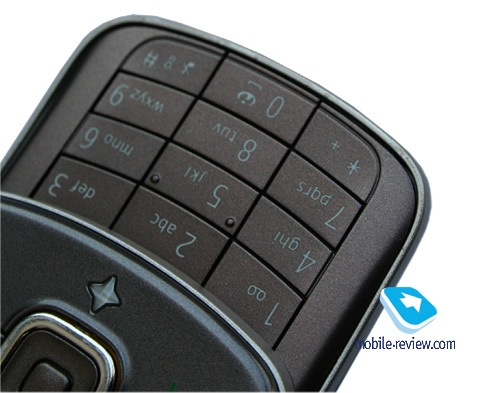 The phone features a sizable navigation cluster with soft and well spaced out buttons that you will never have any issues with. Right below the four-way navigation key is the GPS shortcut with a status LED in it. The number pad is made entirely out of plastic. While all buttons seem somewhat cramped together, they are quite responsive and soft, and therefore very easy to use. All keys are evenly lit in moderately bright white. Located below the display is a touch-sensitive strip that allows zooming in/out on images in your Gallery, as well as on web pages or Maps; also we found that the whole process was very smooth, so it's a nice touch to the 6710 Navigator's otherwise standard functionality. So it's been a year, and Nokia are now incorporating 1500 mAh batteries into some of their latest phones, however the most power-hungry devices are yet to get them, which doesn't seem all that logical. As the manufacturer claims, the phone can last up to 450 hours in standby and provide up to 7.5 hours of talk time. Music playback time - up to 25 hours, video recording time (top quality settings) - up to 160 minutes, video playback time - up to 8 hours. 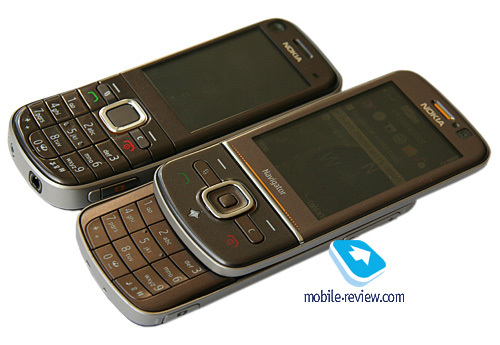 The handset's battery life averaged 2.5 days in our tests (for reference, the 6210 Navigator lasted around 2 days in similar conditions), when we used the 6710 Navigator for about 1.5 hours of calls, a dozen or two snaps, several minutes of video, and around an hour of music/radio. It takes the 6650 Fold around 2 hours to charge from empty to full. 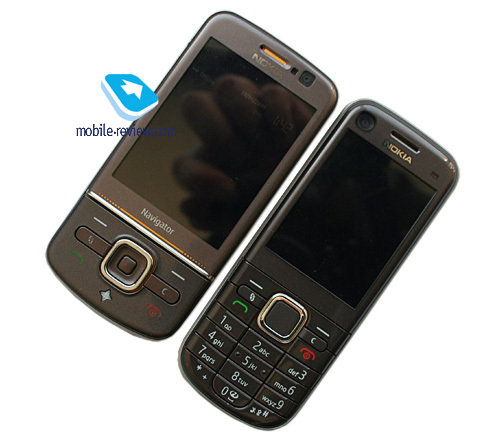 Compared to the Nokia 6210 Navigator, the 6710 is a minor step forward in terms of battery time, and much of the credit here goes to its dim display and updated software that makes the phone itself somewhat less power-hungry. The device comes equipped with 128 Mb of RAM, after first launch you will get around 76 Mb of free memory at your disposal, which is enough for running several applications and browsing "heavy" web-pages. The user gets almost 50 Mb of storage at his disposal, where any data can be stored. 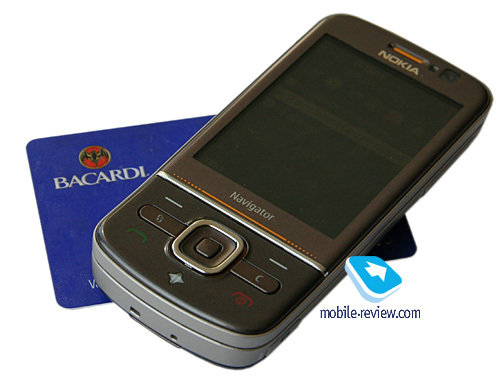 The 6710 Navigator deals with microSD memory cards (hot-swappable), the phone comes packaged with a 2Gb unit. 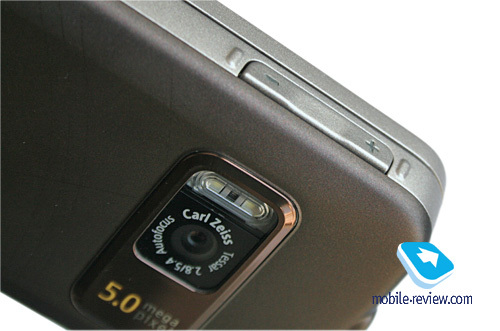 There are no restrictions as far as memory card's size is concerned - our handset easily identified a 32Gb card. The top speed you can get with the 6710 Navigator's Bluetooth connection is around 100 Kb/s. WiFi. The handset supports 802.11 b/g wireless connectivity standard and comes preinstalled with Network wizard - nothing to shout about here. 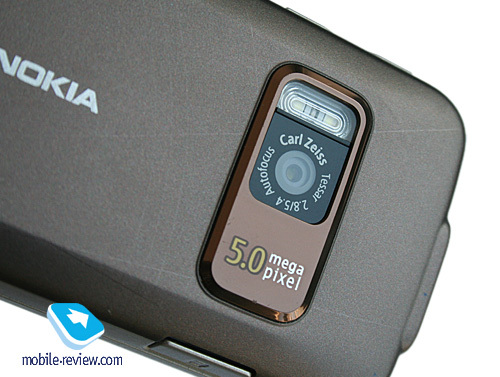 The phone comes armed with a standard 5 MP camera powered by a Carl Zeiss lens, meaning that as far as picture quality goes it's little to no different from other Nokia-branded solutions of this caliber; at the same time it can't stand comparison to the company's imaging-savvy flagships, however this won't be a major concern for the 6710 Navigator's target audience. You can learn more about the phone's feature pack in our review of the respective platform. 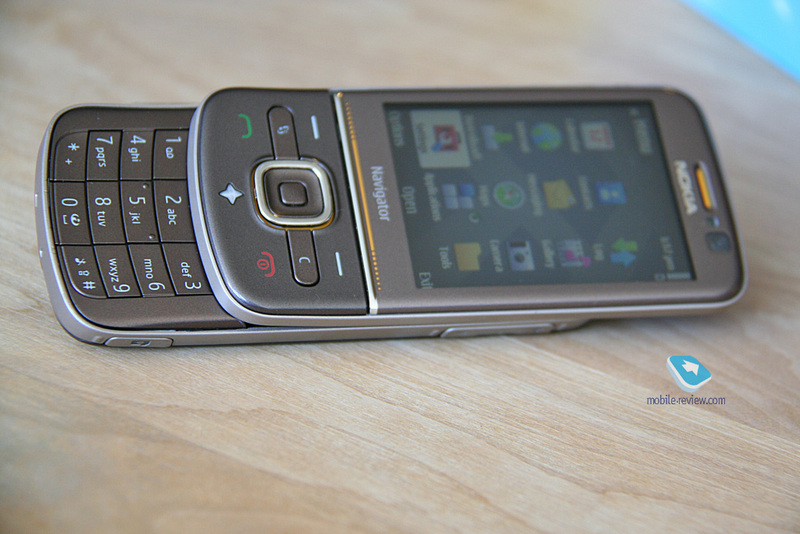 The 6710 Navigator is one of the first phones to employ themes identical to those used in S40-powered devices. 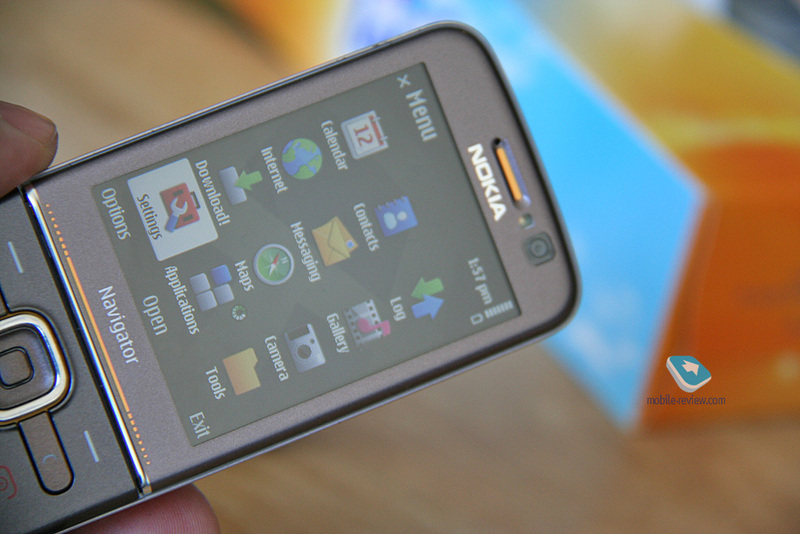 Much like in the Nokia 6700 Classic you'll find here a monkey running around the screen in search of bananas, an aquarium full of fish and other fancy themes. Soon enough we'll see more borrowings like this between these platforms, and this is pretty good news. The third version of Maps will be introduced with the 6710 Navigator as well, so it'll be the first phone to come preinstalled with the updated application. 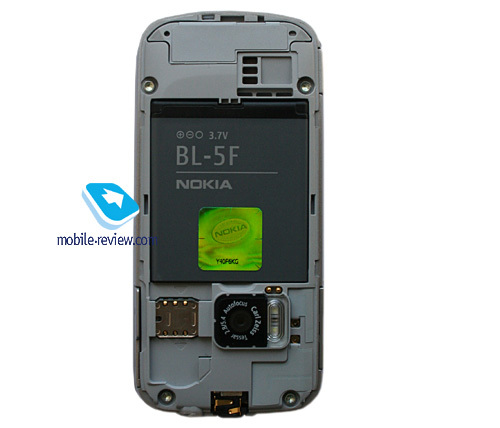 I can only add that the Nokia 6710 will be only phone to enjoy a full-fledged version of Maps 3.0 and even the Nokia N97 won't have some of its features, such as feats based on social networking, allowing the user to send his coordinates in all forms and formats to a variety of sites. 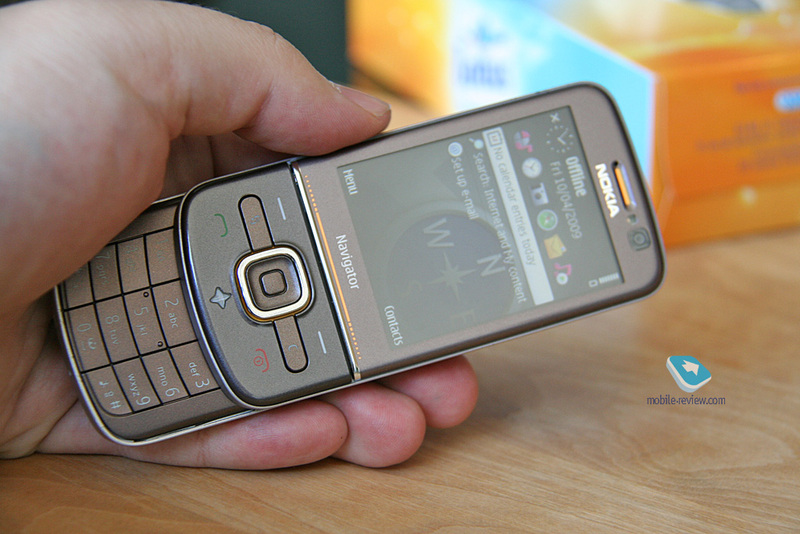 Both the 6710 Navigator's call and reception quality were fine - we never experienced any issues with them during our quality time with the phone. The vibro alert proved to be strong enough as well. 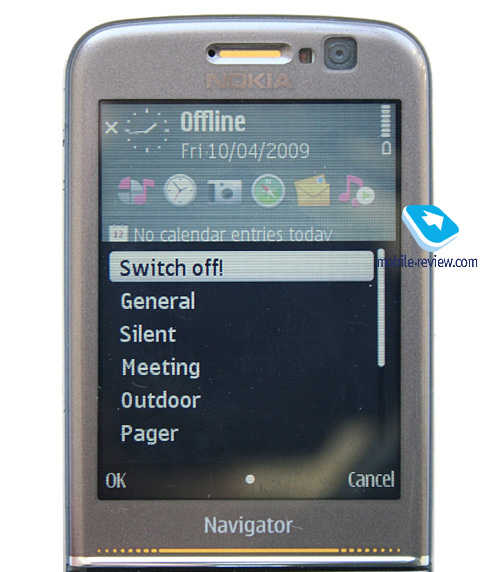 Unfortunately, the 6710 Navigator is Nokia's third unsuccessful foray into this particular segment - it does seem to have a sound idea behind it, but it's hard to feel it under the phone's thick skin composed of standard features and same old drawbacks. What it could really use is a special touch or two, something that could give the phone a very unique face. 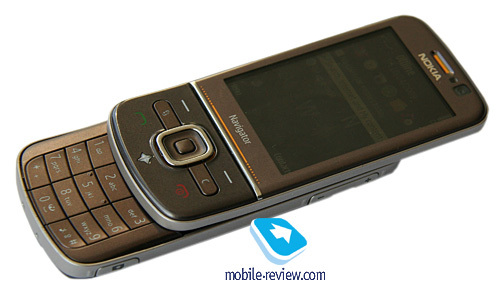 The 6710 Navigator will definitely follow in the footsteps of its predecessors, in that it won't be a money-maker for Nokia in any way. 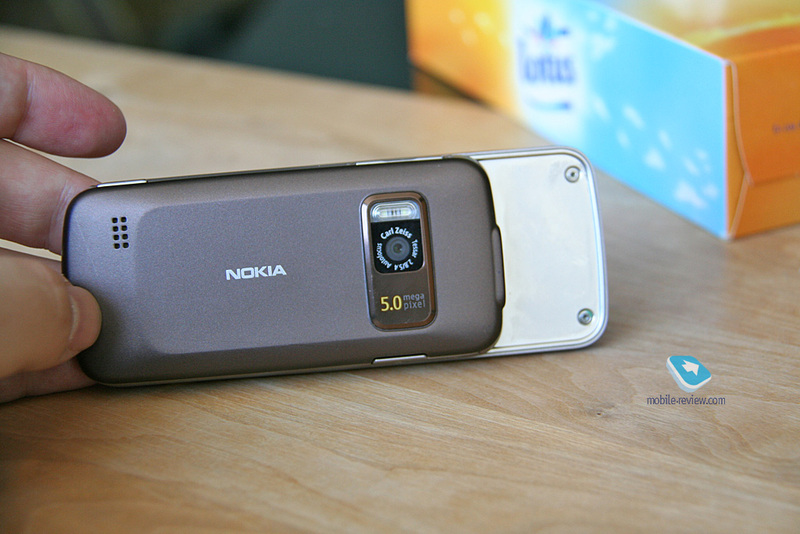 I didn't really like the phone, and the fact that now its sales package includes a bunch of extras, such as a car kit and a lifetime subscription only shows that Nokia themselves see no potential in the 6710 Navigator without all these amenities. 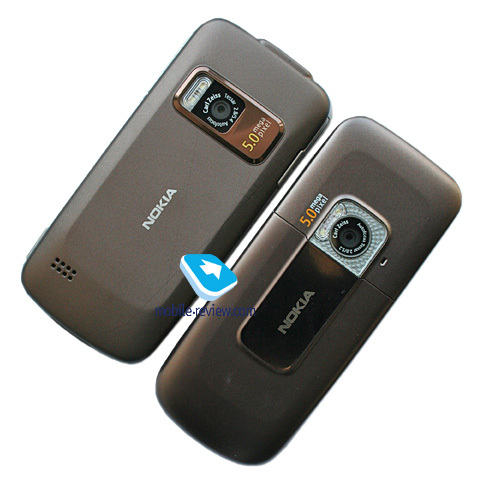 All in all, there are some more interesting offerings out there, even in Nokia's own portfolio.